As part of the Grymm tour, I am pleased to welcome Keith Austin on the blog, to pick out his ideal cast should his book ever be made into a book! AS disturbing as it sounds, I keep bumping up against Tom Cruise. It’s something you’re bound to do when asked to imagine the dream team for the movie version of your book. And yet, many people would later say that Cruise was the best thing in the film. Even Rice was moved to comment that “from the moment he appeared, Tom was Lestat for me”. Thespa Grymm The real estate agent from hell, a woman as wide as she is tall, a “harmless old sofa” with a “heart of pure, baby-eating evil”: Imelda Staunton*, a consummate actress who could not only pull off the physical transformation but also find the soft centre that makes Thespa tick. Margaret from Maggot’s Milkbar False teeth, false hair, false leg and a habit of coming out with disconcertingly bizarre statements: Ricky Gervais. I love the idea of getting Gervais dressed up as a woman with a wooden leg who is pining for her missing dog. Could it be a challenge he couldn’t resist? Inky Bugleslab The sly newsagent with the wormlike tongue and the mouth like a scalpel slash: Steve Buscemi. Inky only appears a couple of times in the book and I think a cameo by bug-eyed Buscemi would be fun. Malahide Fleur The huge baker whose masterful creations look, smell and taste divine but are only a prelude to … what? 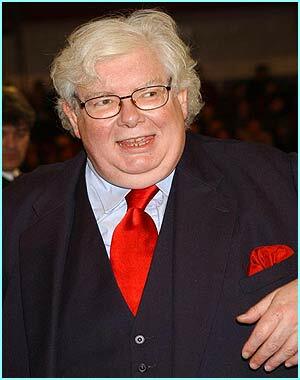 Here, I’m torn between Richard Griffiths and Little Britain’s Matt Lucas. I quite like the idea of Griffiths sort of reprising his role as the chef from the Pie In The Sky TV series but turning it on its head – the chef sleuth turned bad. Very bad. Beersheba Bluehammer The neurotic, frustrated and dangerous artist who runs the hardware store has bright orange hair and a face like an axe? 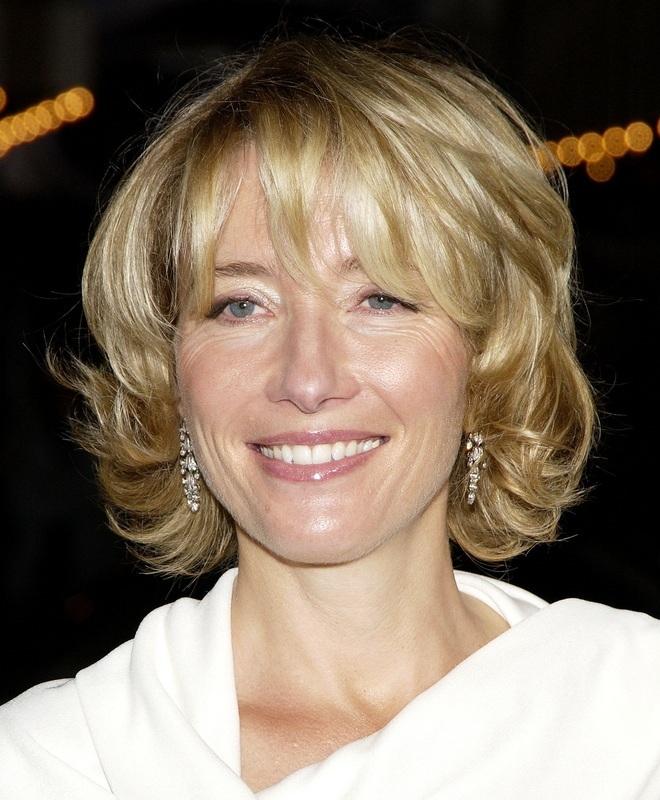 Well, Emma Thompson was Nanny McPhee, right? And this is the nanny turned up way past 11 and then flipped inside out. Thompson could do this standing on her head. Frederick and Catherine Puzzlewick The oddly vampiric Puzzlewicks, owners of the candle factory, are a married couple who look so much like each other that they could be twins. Which is the husband and which the wife? This one’s a bit from left field and would depend on the audition, of course, but step forward and take a bow John and Edward Grimes, aka the Irish pop duo Jedward. I think they would be great as the spooky couple. Mr Anhanga The ultimate villain of the piece – a shifting insect of a man who is creepy beyond belief. 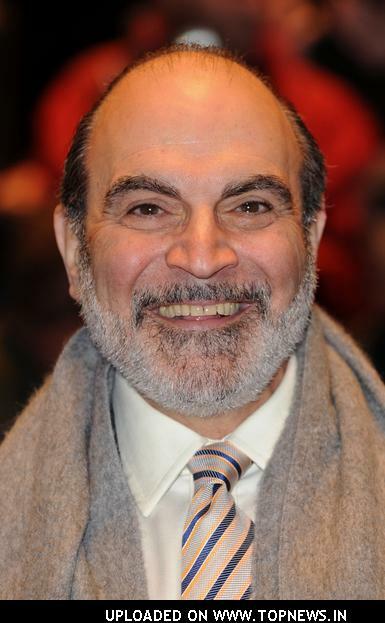 Well, until I saw the TV version of Terry Pratchett’s Going Postal, I thought David Suchet was Poirot and Poirot was always and forever Suchet. However, his turn as the villainous Reacher Gilt showed he could transform nicely into the scuttling “cockroach thing” that is the trickster Anhanga. Which brings us to the exception to all those coulds – Cleaver Flay. There is, to me, one actor whoshould play the mad butcher. Only this man embodies the beefy man mountain that is the hairless, animal loving monster that is Flay – and he is Pruitt Taylor Vince. I know, I know; who? He’s the American actor who played Malcolm Rivers, the mass murderer with multiple personalities in the much acclaimed movie Identity. He even looks the way I imagined Cleaver Flay. That’s him, I swear, standing on the roof of the SUV on the cover of the book. All it would take would be a vat of animal fat and a cutthroat razor. Yes, only Pruitt Taylor Vince should play flay.